One of the most frequent comments people make about the hair industry is how expensive hair services are. But the average stylist isn't ripping you off by charging $20-$60 (depending on the area) for a haircut. 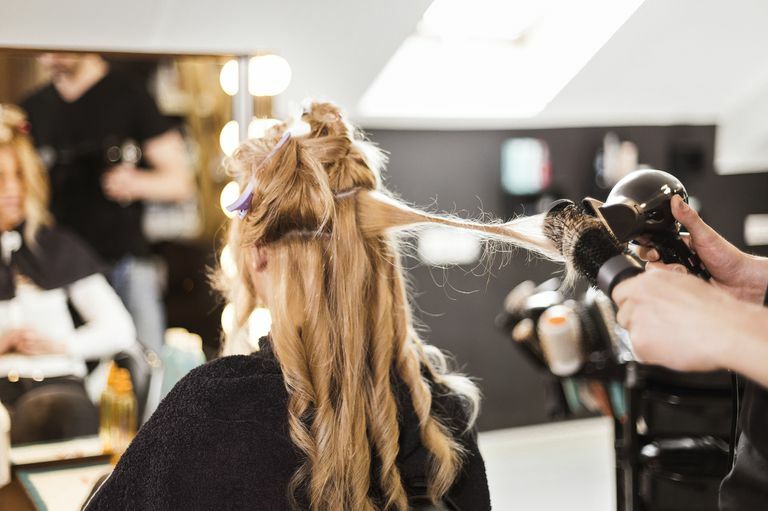 Some of the expenses present in the average hair salon just might surprise you. It should be of note that the following figures come from one salon, and are therefore an anecdotal representation of the costs writ large. That doesn't mean that your stylist is upselling you on your cut—it just means that their expenses could be higher than the ones listed here. These figures are from a woman who lives and runs her business in a city of around 200,000 people in the middle of the heartland. Obviously, hair salon expenses in other parts of the country will be higher, while others will be less. But these are from about as average a stylist, in about as average a city as it gets. She leases a small studio salon and runs her own business out of the studio. So, she split the difference between a stylist that is employed by a salon owner, and one that owns their business with their own physical building. For the purpose of this article, we're only going to talk about haircuts. It would be a much longer article to get into vast and various expenses of chemical services, and everything involved with that. For now, we're keeping it at haircuts. Surprisingly, beauty school is not cheap. In Iowa, a licensed cosmetologist is required to complete 2,100 hours of instruction and clinical experience prior to graduation and completion of the Iowa State Board Cosmetology Examination. It takes approximately 15 months of full-time cosmetology school to complete these requirements. Final school costs in a state like Iowa land around $18,000, which are often funded by student loans, repaid monthly. Some hairstylists work for a company or person, and are paid a commission or salary. Others work for themselves and pay a chair rental fee, studio rental fee, or they buy or rent their own property. 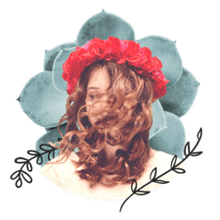 At any rate, a building that is properly equipped and licensed by state regulation for hair services is required and is the biggest monthly expense. Some rental fees include utilities, products, or use of equipment. It all varies for each situation. A typical studio rental fee includes something like: water, trash, heat, and electric utilities, the use of two sinks, two hydraulic styling chairs, two styling stations, a storage cabinet, and hood hair dryer with chair. Maintaining a valid cosmetology license is very important and a required expense of every stylist and salon owner. A salon license ($80) and separate individual cosmetology license ($60) is required to be renewed every other year. In order to be eligible to renew your license in Iowa, you have to complete 8 hours of continuing education, and pay the associated fees with these hours. Some attend more than the required 8 hours, but for the sake of this article, only the expense of the required hours is included. In two years, a stylist will spend roughly $250 on continuing education and license renewal. In addition, insurance is important to cover liabilities in a salon. You never know what may happen when you're cutting hair and it's important to be covered in case of an accident, theft, fire, or natural disaster. Yearly insurance cost is around $250. One of the reasons people think haircuts are too expensive is because "all that's required is a comb and some scissors." It's actually a little more involved than that. Every stylist has several pair of shears that they require to do their job. They last anywhere from 2 to 5 or more years depending on the shear, how often it needs sharpening, and how often it's used. In first four years, a stylist can expect to spend about $1,200 on hair shears, and $600 on clippers and accessories. Stylists also go through boxes of razor blade replacements at least every week. If you are going to get a haircut, chances are you will want it washed and styled. This requires the use of "backbar" products and supplies. Backbar supplies are the products and tools used by a stylist to wash and style hair during a haircut service (shampoo, conditioner, styling products, towels, capes, etc.) as well as the necessary sanitizing agents required by the state. Nobody wants to leave the salon looking unkempt. Also notable are laundry expenses, to wash the towels and capes regularly. Styling hair can't happen without styling tools. As anyone who has gone out of their way to get top of the line tools knows, professional hair dryers, flat irons, curling irons, brushes, and combs are expensive. Professional quality products are important, as they need to have the ability to stand up to hard repeated daily use. Of course, some last longer than others. Over four years, a stylist can expect to spend at least $1,000 on hot tools and hair styling equipment. So, let's add this all up. Please keep in mind that the monthly expenses included in this list are minimal, and apply only to hair cutting. If a stylist performs any other services like waxing, paraffin, coloring, perming, other chemical services or offers retail products for sale, the costs increase. This monthly expense list also doesn't include the little extras in a salon like coffee, wine, decor, magazine subscriptions, and other miscellaneous costs. Now, let's break down this monthly cost of $1,737.58 so it makes sense on a haircut by haircut level. If a stylist works 40 hours per week, and we just assume there are 4 weeks in a month, that's 160 hours in one month. Dividing the monthly cost by 160 gives us the amount of money it costs to have basic hair cutting supplies and tools on hand per hour. It costs the stylist $10.86 to cut hair for one hour. In order to make a profit and take home money to make a living, a stylist has to bring in more than $10.86 each hour. It takes 20-30 minutes on each man's or child's haircut, and 30-60 minutes on each women's haircut. This includes washing and styling time, discussing products, and ensuring client's satisfaction. To break it down further. Let's assume a men's haircut is $20 and a women's haircut is $30. in two hours time a stylist can bring in approximately $70, or $35 per hour. $35 minus the $10.86 operating cost leaves me with $24.14 per hour "profit." However, keep in mind all the extras that were not included in the figures above like decor, coffee, magazine subscriptions, online reservation system, website costs, telephone expenses, advertising costs, marketing materials (business cards, brochures, etc), and other miscellaneous expenses come out of that $24.14 profit. Not to mention income tax and sales taxes that need to be paid, and the countless hours that stylists spend doing paperwork, updating their websites, purchasing supplies, returning emails, setting appointments, and other miscellaneous tasks that they are not compensated for. The costs may go up every year, but every year your stylist gains 365 days of increased experience, talent, and skill. Tip accordingly.